According to court records, the case began with the tragic drowning death of a 7-year-old boy who was in the care of a homeowner in a condominium association. At the time of his death, the boy was in the association’s shared community swimming pool. The boy’s mother filed a lawsuit alleging the homeowner negligently supervised the boy, resulting in death. She further asserted that the condominium association, which owned and operated the pool, had a duty to operate the swimming pool in a manner that was reasonably safe. The mother asserted the association breached that duty in a number of ways, which also served as a proximate cause of the boy’s death. The homeowner was insured by a homeowner’s insurance firm based in Puerto Rico. The association, meanwhile, was insured by two policies issued by a single firm based in the U.S. The two policies were a comprehensive general liability policy, and an umbrella policy. A provision in the U.S. firm’s policy allowed coverage to be extended to individual association members. However, that coverage was limited to liability that arose out of ownership, maintenance or repair of parts of the community not reserved for the member’s exclusive use or residence. On the surface, this would seem to indicate that because the pool was part of a common area, the policy would extend additional coverage. And in fact, the trial court ordered that the U.S. firm extend coverage to her under both its policies. However, that determination was reversed on appeal. The appellate court reasoned that any potential liability that might have been covered under the policy hinged on whether the homeowner had “ownership” of the pool. The court found scant evidence that this was the case. 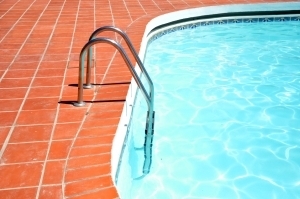 Although she was an owner within the community which entitled her and her guest (the plaintiff’s son) to use the pool, the policy did not extend coverage for liability arising out of “use” of the pool. The court cited Florida Statute 720.301(2), which indicates that such property is owned by the association – not individual property owners. Additionally, there was no evidence presented in the form of deeds, association articles, covenants or plats that proved the homeowner had a specific ownership interest in the pool or any of the other common areas. This does not mean the plaintiff will be unable to collect damages. Assuming she proves liability on behalf of the homeowner and the association, she may still be entitled to collect damages from the homeowner’s individual insurer, as well as the association’s insurer. However, she won’t be able to collect from the U.S.-based insurer for both the association’s alleged liability as well as the homeowner’s.